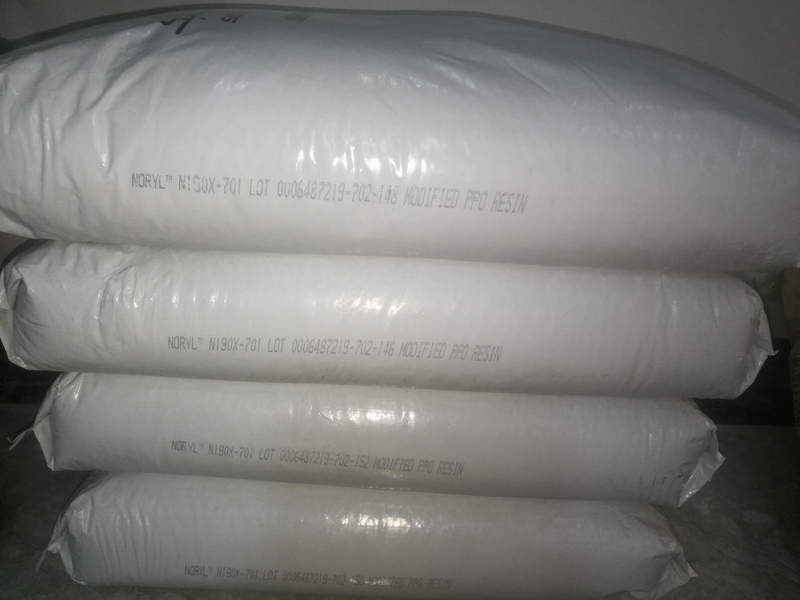 NORYL modified PPO (Polyphenyleneoxide)/PS blend resin. 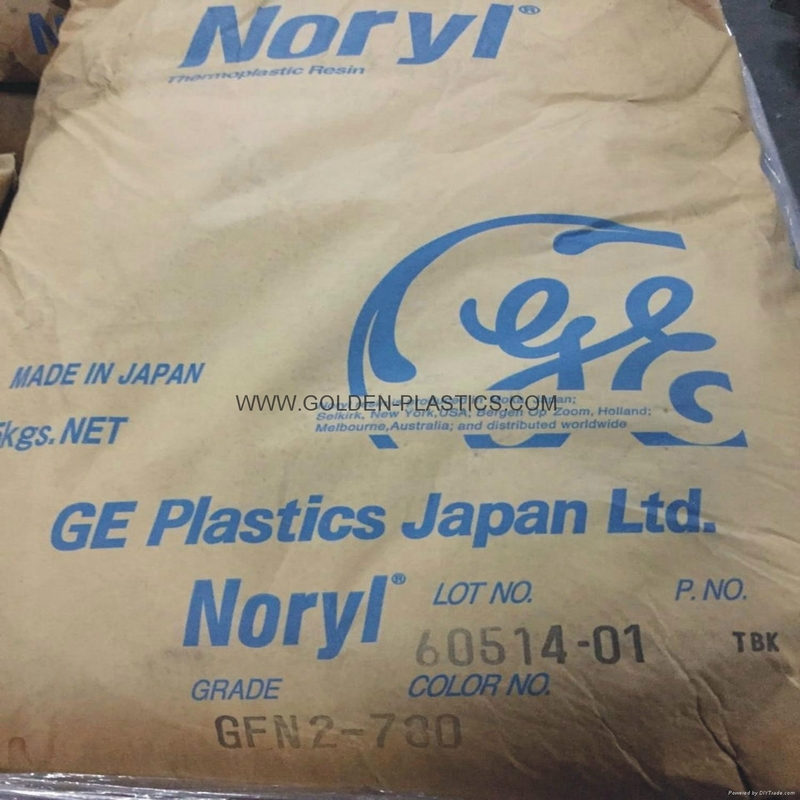 Noryl resin can be injection molded, extrusion and structure formed. It can be also reinforced for higher heat resistance and dimensional stability for those chassis applications to replace metal. Mechanical properties nearly unaffected by temperature and humidity. Excellent moldability and low shrinkage rate to give quality precision parts. Excellent electrical properties over a wide range of frequency. Resistant to water, acids and alkalies and low water absorption. No corrosion and readily available for flame retardation. Unfilled, non-FR. Higher heat resistance than N110 (BOZ) and px0844 (USA). For automotive interiors. 250F (121C) DTUL. 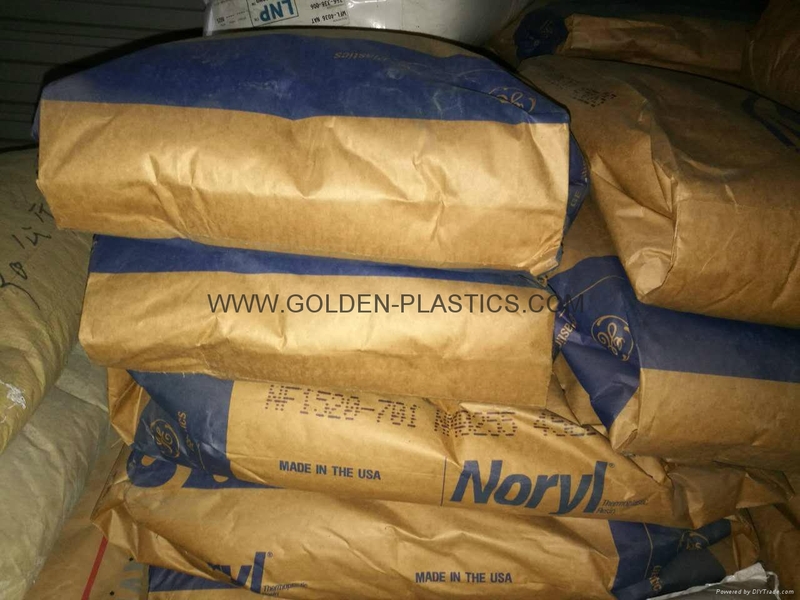 NORYL PX1112 is an unfilled medium heat resistant material. This grade offers improved impact resistance to meet the ECE-dashboard standard. 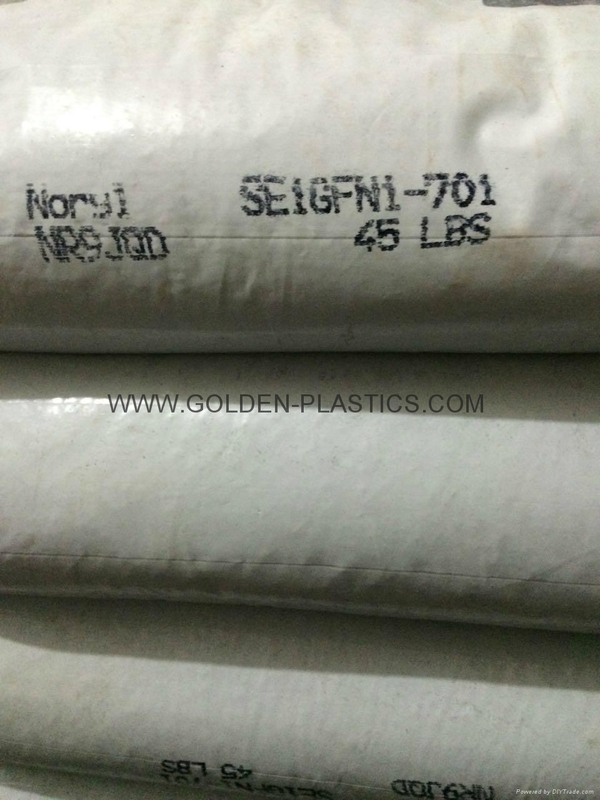 NORYL V01550 is a 15 % short glass fibre reinforced, flame retardant material with a HDT/A of 130C according ISO 75. NORYL V01550 is V0 at 0.75 mm according UL94 and is halogen free according VDE/DIN 472 part 815. NORYL V01550 is designed for electronic and electrical applications. 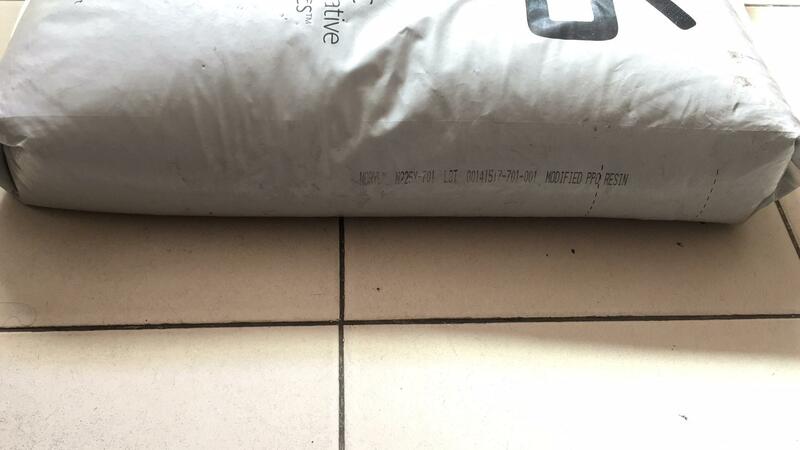 unfilled material, with a Vicat B/120 of 135C according ISO 306. 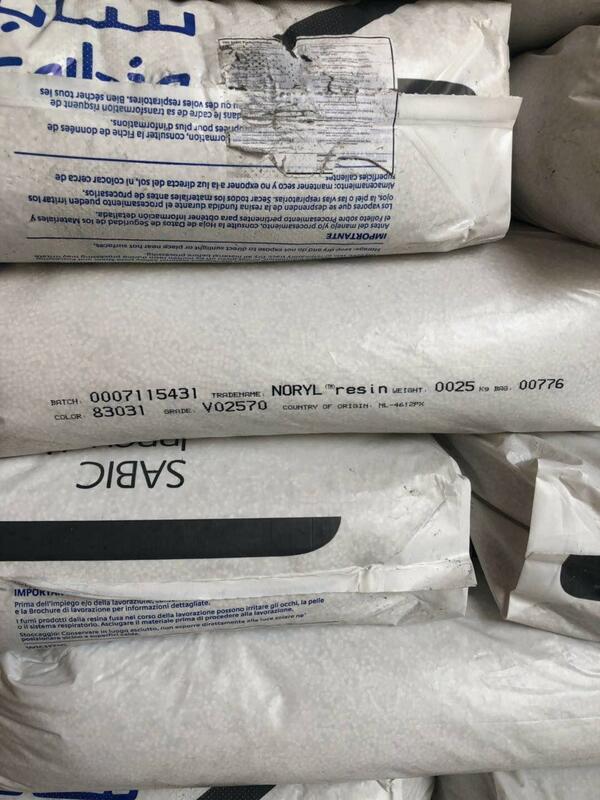 NORYL 731S cust spec 1977 has been listed for potable water applications up to 85C by the UK WFBS according BS 6920 in limited colours. 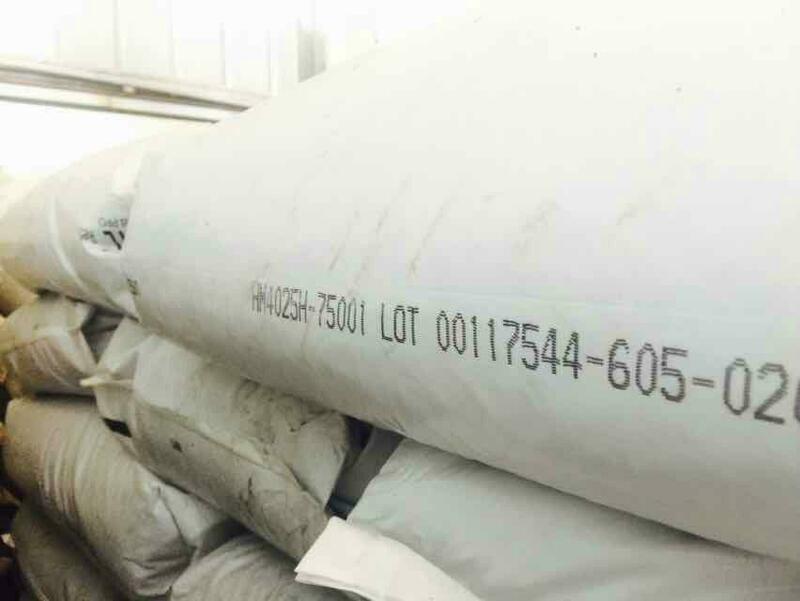 As of June 2007, this grade will no longer be supported with biocompatibility information and should not be used for medical applications which require biocompatibility. Alternative grade HN731SE. 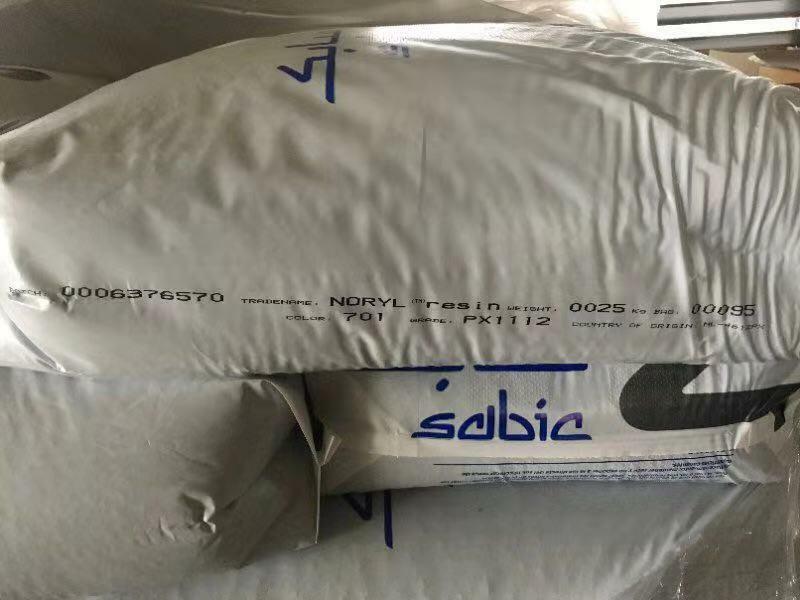 unfilled, flame retardant material with a Vicat B/120 of 120°C. It has a UL-94 flammability rating V1 @ 1.47 mm, and is halogen free according to VDE/DIN 472 part 815.
twin wall foam meets UL standard 94 V-0/5V ratings at 4 mm wall thickness. These unique flammability characteristics make FN150 the supreme choice for designing optimum wall thickness in computer and business machine applications. Noryl FN150 twin wall foam maintains the advantages of the Engineering Structural Foam principle at optimal cost efficiency. 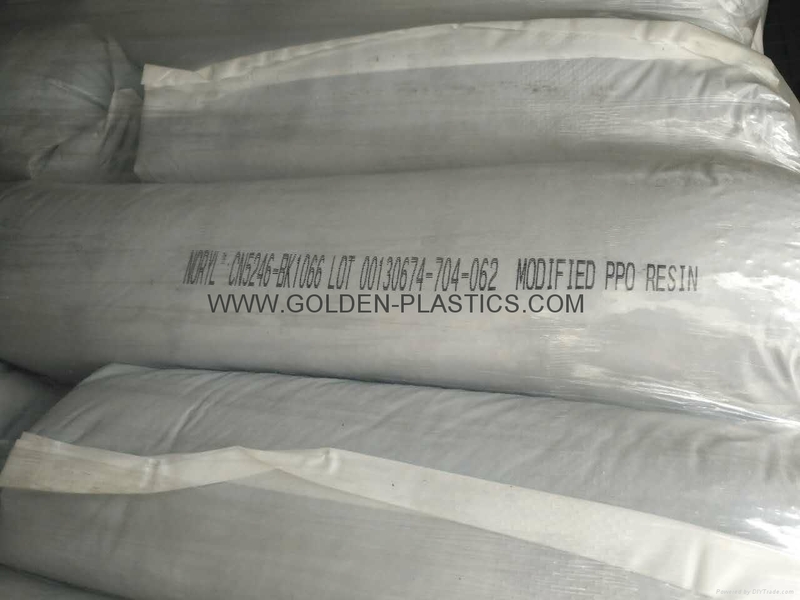 unfilled, flame retardant material with a Vicat B/120 of 140°C according ISO 306. NORYL SE1 is V1 at 1.47 mm according UL94 and halogen free according VDE/DIN 472 part 815. 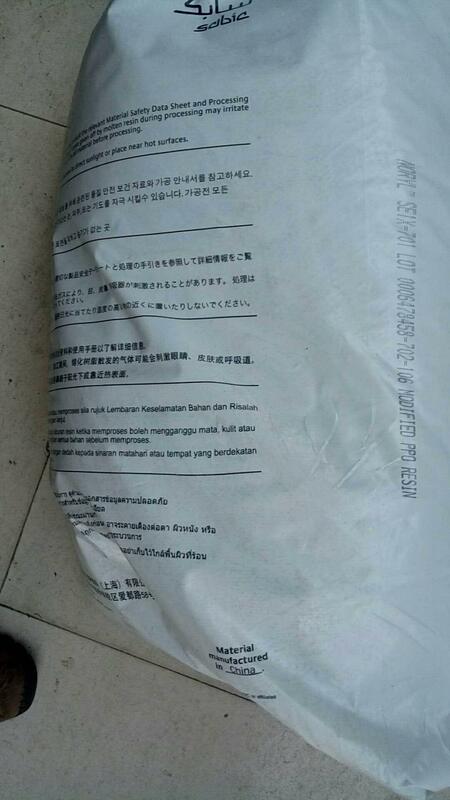 Nonbrominated, nonchlorinated FR resin. Improved productivity and reliability. 199F HDT. 10% GR. UL94 V-1 rated. Halogen free flame retardant. Typical applications are TV chassis, deflection yokes and connectors. GF 20%. 270F (132C) DTUL. UL94 V-1 rated. 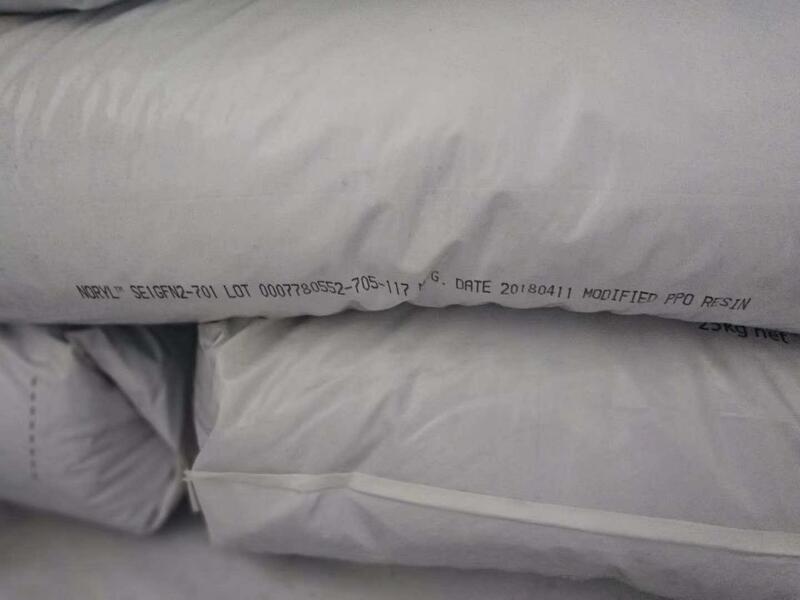 Halogen free flame retardant. For electrical construction applications. GR 30%. 275F (135C) DTUL. UL94 V-1 rated. Halogen free flame retardant. For electrical construction market. PPO+PS. Improved productivity and reliability. Nonchlorinated, nonbrominated flame retardant. 244F HDT. PPE+PS, Flame Retardant, Nonhalogenated FR, UL94 V-0 at 1.5 mm, UL94 5Va at 2.0 mm, GWIT of 775ºC at 1/2/3 mm. 25% milled fiber reinforced PPE+HIPS, injection moldable grade. 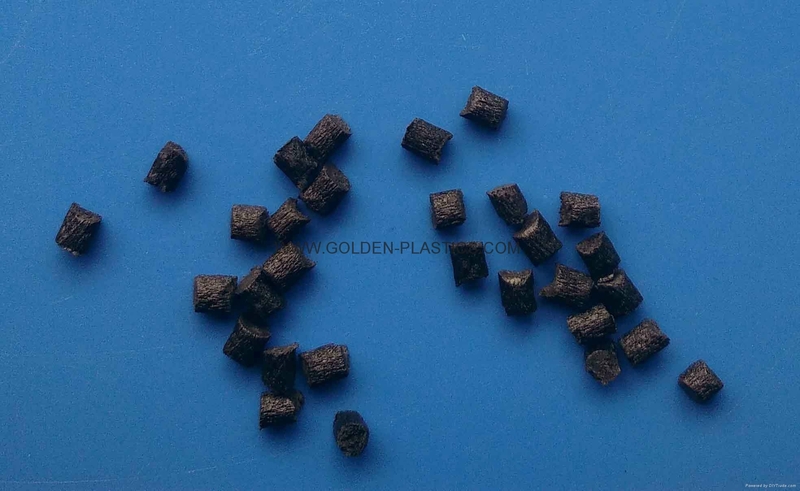 Designed for good dimensional stability and low warpage, this resin also uses non-chlorinated, non-brominated FR additives to achieve a V0 UL94 rating at 1.0 mm. PPE+PS blend. Unfilled. Non-brominated, non-chlorinated FR system. UL94 V0/5VA rated. Dielectric strength. Suitable for E/E market applications. PPE+PS blend. Unfilled. Halogen-Free FR performance. UL94 V0/5VA. UL746C F1. Dielectric Strength. Suitable for E/E market indoor/outdoor applications. PPE+PS blend. 20% Glass reinforced. UL746C F1. NSF 61 listing in several colors (restrictions apply). FDA compliance (restrictions apply). Low water absorption. Hydrolytic stability. Dimensional stability. 40% GF/MF filled FR PPE/PS Blend,high flow. 20% glass reinforced, especially developed for high heat applications such as bobbins for ignition systems in automotive industry. HDT of 170 C and Vicat of 180 C.
PPE+PS, 30% Glass Reinforced, Hydrolytic stability, Potable Water Compatible, ISO306 Vicat B/120 of 158C. PPE+PS blend. Unfilled. NSF listed for potable water use in several colors (Standard 61). FDA compliant (restrictions apply). UL94 HB rated. Low water absorption. Hydrolytic stability. Dimensional stability. Suitable for fluid engineerin . PPE+PS blend. 17% Mineral reinforced. Non-brominated, non-chlorinated FR system. UL94 V0 and 5VA listing. UL 746C f1. Radiant panel listing. Dielectric strength. Dimensional stability. Suitable for E/E applications. Automotive applications, primarily. Excellent electrical properties, easy processability, high heat, 295F (146C) DTUL. PPE+PS GF20% High Heat FR V-0.